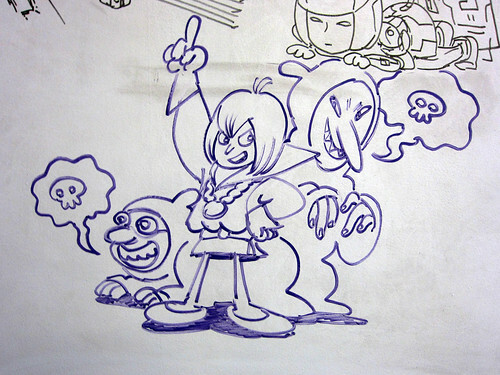 I’m taking a break from writing up this new PlayStation Blog post to share the latest works of art that have materialized on the Reverge Labs whiteboard. 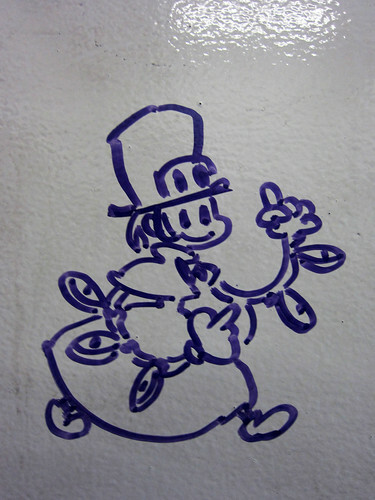 In addition to our own madness, some of Alex’s friends stopped by the office and left their mark, too! 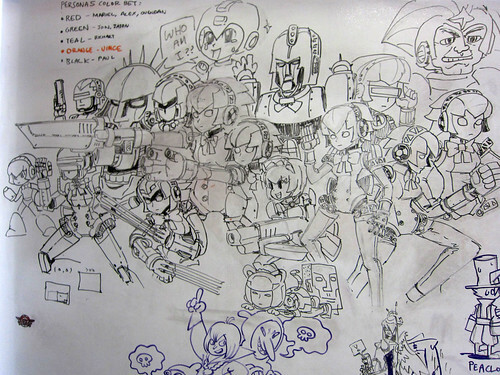 Alex’s friend Dan drew this motley crew. This piece is by Shaun. Evon, one of our environment artists, stopped by and drew this tiny Peacock. Take a look at the final monstrosity, and say goodbye. Aigis-tachi, you will be missed. 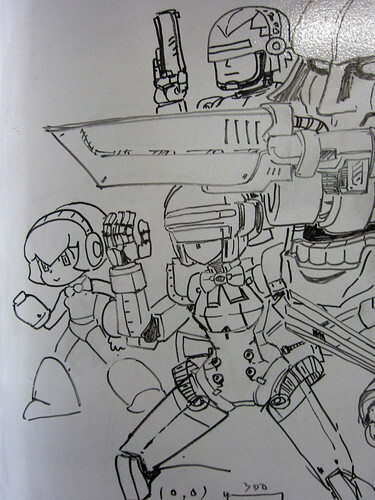 Especially that Mega Man lookin’ one on the far left. Taking a break from writing a new PlayStation Blog post? 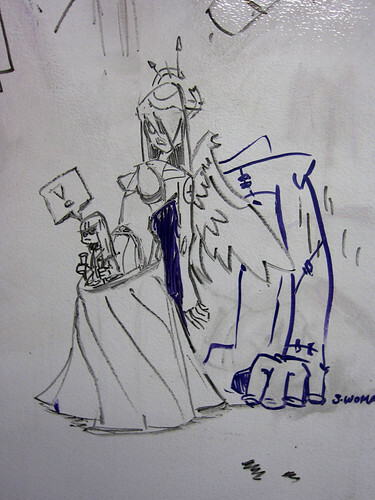 I hope Skullgirls will release soon! 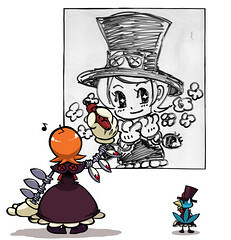 I plan on buying everything: Skullgirls (PSN game), DLC, and PSN Avatars. I’ve already ordered two custom canvases from the official store. I’m so exited for this game, and I love reading the Skullgirls website and the RevergeLabs website for updates. I rambled a bit, but this is my most anticipated game of 2012! Thank you for showing us all these updates, and the whole board itself, before wiping it clean. 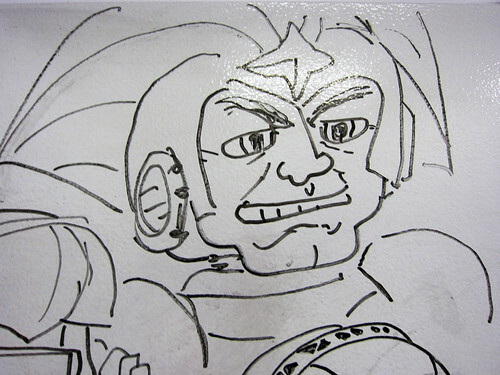 Sayonara, Whiteboard Wednesdays. You will be missed. Wait, this is the last Whiteboard Wednesday? NOOOOOOOOO! I don’t think this is the last Whiteboard Wednesday. Just the last we’ll see of the Aigis Army. Still an incredibly sad occurrence though. Wow, that’s a nice little assortment of characters. Too bad the board got full, huh? Ah well, clean slates mean room for new ideas, at least! 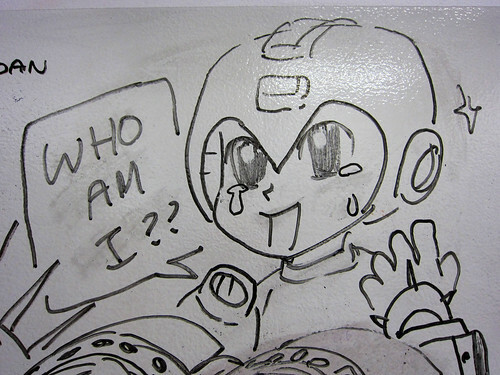 Also, poor Rockman. Don’t worry, some of us haven’t forgotten about you. Thanks Reverge … thanks for being awesome in just about every single way.